Apium nodiflorum synonym Helosciadium nodiflorum, commonly known as fool’s-water-cress, is a flowering plant of the genus Apium and Apiaceae ⁄ Umbelliferae (Carrot family) found in ditches or streams of Western Europe. Its duration is perennial which means it will grow year after year. The plant is considered to be native of Western Europe and is found throughout the North Island and the north and west of the South Island of New Zealand. Apart from Fool’s water cress it is also known as European marshwort, Fool’s-water-cress, Wild celery, Lebanese Cress, Poor Man’s Watercress and Procumbent Marshwort. Apium is derived from the Latin Apis, for “bee”, nodiflorum means “flowering at the nodes”. Fool’s-watercress is not a poisonous plant, but it could be confused with the poisonous Lesser Water Parsnip – Berula erecta – which is poisonous. The main distinguishing feature is that Berula erecta has a distinct ring on the leaf stalk; however caution recommends that a tasting would be better avoided. Lesser Water Parsnip also smells quite like parsnip when the leaves are crushed thus being given its common name. 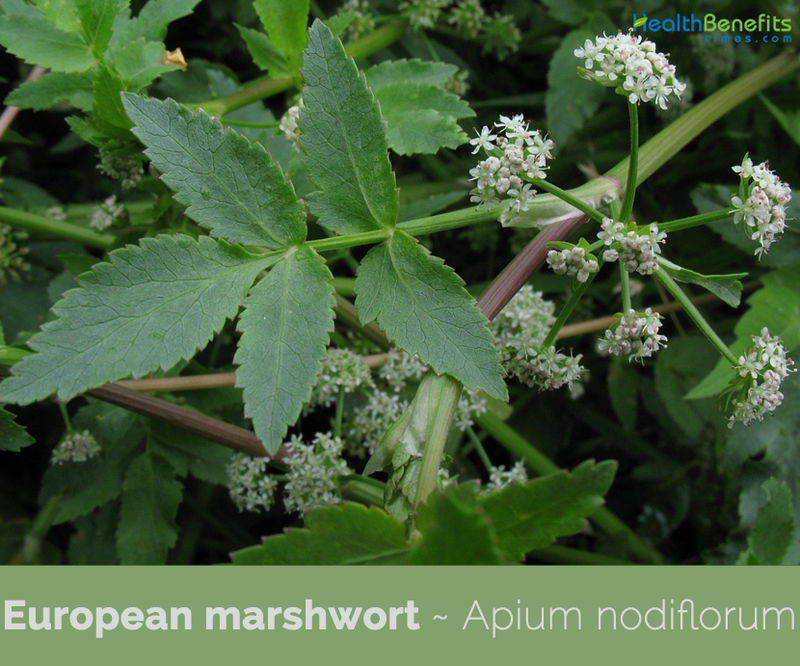 European Marshwort is actually a low-growing or prostrate perennial, flowering plant that grows about 30 cm to 1 meter tall. The plant is found growing in wetland habitats such as the margins of rivers, streams, lakes, ponds, canals and ditches as well as in marshy grassland and anthropogenic habitats such as gravel pits. The plant prefers nutrient-rich, neutral soils as well as margins of the river, lakes and ponds. The plant has prostrate and ascending stems. They are smooth, round, hollow and finely furrowed. Leaves are glossy; bright green about 70 cm long with 2 to 8 pairs of toothed stalk less oval to lance-shaped leaflets. Individual flowers are small (2 to 2 mm) with five white petals, and occur in short stalked clusters/umbels (2 to 4 cm) in diameter. Flowering takes place from July and August. Flowers are followed by fruit that are dark brown, small about 2 mm long and ovoid/egg shaped and ribbed. This species has perhaps been consumed since antiquity, though it is difficult to find any clear references to it. For instance, some of the ancient mentions of the celery, a closely related species might be attributed to A. nodiflorum. This could be the case of some references found in Theophrastus or Dioscorides. In the sixteenth-century Spanish translation of the later work, Laguna, in the chapter of the watercress, describes another similar species supposed to be toxic and with the Castilian name of berrazas, the same registered in the recent ethno botanical works. 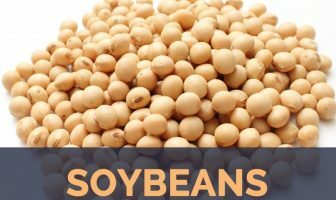 Its tender aerial parts are considered digestive, intestinal anti-inflammatory, depurative, and employed to treat respiratory and urinary diseases. Other supposed health benefits of A. nodiflorum include liver protection and bile production. Decoction of the whole plant was topically employed to treat eczema in southern Spain. This species has been traditionally consumed in the Mediterranean countries, at least in Portugal, Spain. As other wild vegetables that grow in aquatic environments, A. nodiflorum is mainly consumed raw without any preparation or in green salads. It is also cooked in different recipes, such as boiled with legumes, in omelets, as a turnover filling, as a dough stuffing, or included in the Moroccan beqoul, a mixture of several wild food plants used to prepare a springtime meatless dish—highly prized by rural people, especially in mountainous areas. The fool’s watercress is also employed as a condiment to aromatize soups or other stews. It can also be used to enhance the flour of spinach or other wilted greens. As this plant grows in waterways, it must be cooked to remove the risk from waterborne parasites, such as liver fluke. Fresh aerial parts were used as animal feed for pigs and partridges and in ethno-veterinary science. Calories 21 K cal. Calories from Fat 3.78 K cal.